Mechanics style gloves with skull & flames. 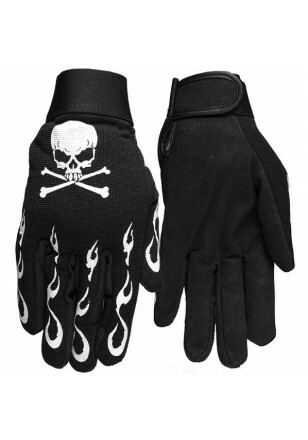 Heavy duty gloves, great for riding. Don’t miss out on these new gloves by jackets-leather. Mechanic’s Gloves have adjustable Velcro Wrist Closure.